Auckland (AFP) - The biggest trade deal in history was signed Thursday, yoking 12 Pacific rim countries in a US-led initiative aimed at wresting influence from booming China. The ambitious Trans Pacific Partnership (TPP) aims to slash tariffs and trade barriers for an enormous 40 percent of the global economy -- but pointedly does not include Beijing. "TPP allows America -- and not countries like China -- to write the rules of the road in the 21st century," US President Barack Obama said after the pact was signed in New Zealand. The deal -- whose birth was fraught by domestic opposition in the US and in other key players, such as Japan -- is a key plank of Obama's so-called "pivot" to Asia, as he seeks to counter the rising power of China. Supporters of the deal say harnessing the power of free trade in such a dynamic part of the world is vital if the US is to fend off China's challenge to its supremacy. 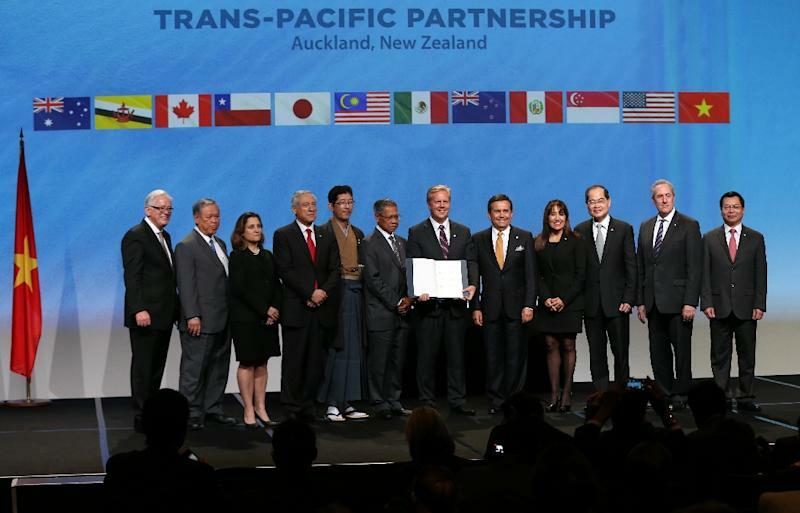 Trade ministers from 12 participating countries -- Australia, Brunei, Canada, Chile, Japan, Malaysia, Mexico, New Zealand, Peru, Singapore, the United States and Vietnam -- signed the pact in Auckland early Thursday. A commerce ministry statement said China would "actively participate in and facilitate highly transparent, open and inclusive free trade arrangements in the region". Despite Obama's comments, the US has also sought to play down any overt anti-China rhetoric. 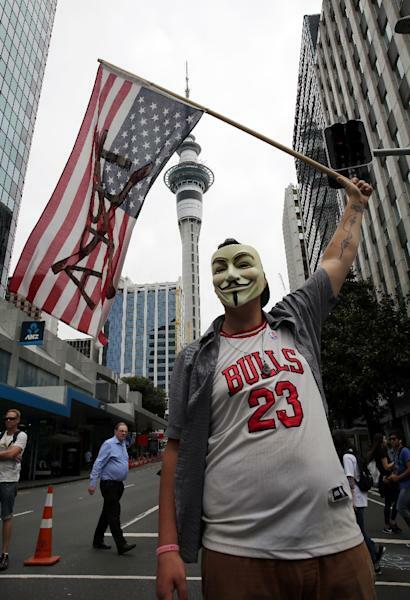 US trade representative Michael Froman, in Auckland, said the agreement was "never directed against" any specific country and "it's important to have a constructive economic relationship" with China. 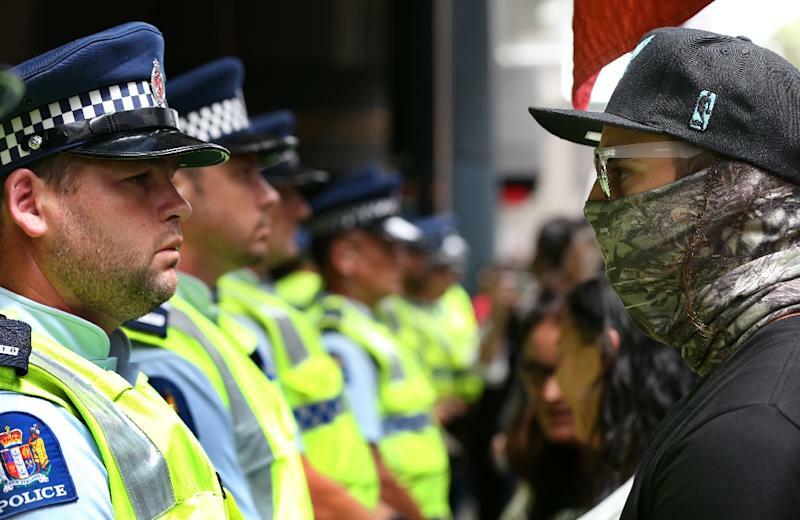 "We will encourage all countries to complete their domestic ratification processes as quickly as possible," New Zealand Prime Minister John Key said. "TPP will provide much better access for goods and services to more than 800 million people across the TPP countries, which make up 36 percent of global GDP." "It's highly unlikely (ratification) before the national elections in November," Tom Switzer of the University of Sydney's US Studies Centre told AFP. "In an election year, free trade is not a popular cause, and there are a lot of constituencies in both the Democratic Party and the Republican Party who are very much opposed to free trade or any kind of trade deal." In Japan -- the second biggest economy in the bloc, and one that was a relative latecomer to the process -- mainstream politicians and economists have generally supported the TPP as positive for Tokyo's export-driven growth even amid concerns over its impact on its prized agriculture industry. American economist and Nobel Prize winner Joseph Stiglitz believes the TPP "may turn out to be the worst trade agreement in decades. "In 2016, we should hope for the TPP's defeat and the beginning of a new era of trade agreements that don't reward the powerful and punish the weak," he recently wrote in The Guardian newspaper.